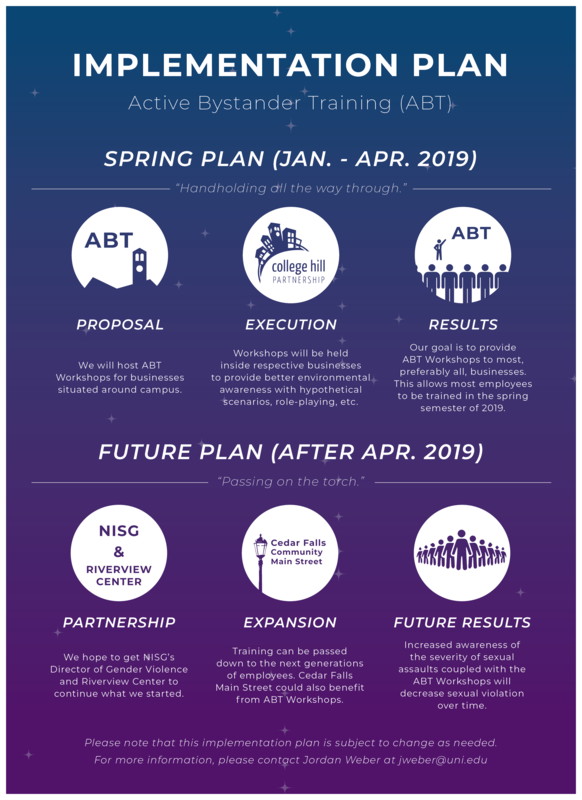 Welcome to the official blog of College Hill Partnership! Follow along to stay up-to-date with the latest from College Hill! Moving Out/Moving In? Will You Help us Reduce the Mess? 1. “Garbage” at the curb can only be picked up by the city when placed inside the green garbage cart assigned to your address. You are allowed one extra bag a week on top of your trash cart with a pink bag tag attached to it. Bag Tags can be purchased at our Transfer Station at 1524 State St., Ace Hardware, Fareway, Hy Vee on University. You may also take your extra bags of trash to the transfer station Monday-Friday from 7:00 a.m. – 6:00 p.m. or on Saturday’s form 8:00 a.m. to 3:00 p.m. There is a $0.75 cent fee per bag or you can weigh it in and our fee per ton for solid waste is $57.50. If you have the smaller cart you can always up-size to a larger size. We have three sizes of carts. You can call 273-8629 to change your size of cart if needed. We normally do cart exchanges on your day of collection. 2. 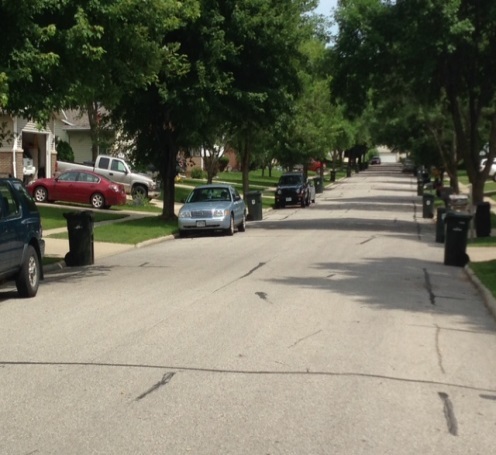 Large item pickup is available and scheduled on your refuse collection day for residents with an active Cedar Falls refuse account. To schedule a pickup, call the Public Works Department at (319) 273-8629 between 7 am–4 pm, Monday–Friday. 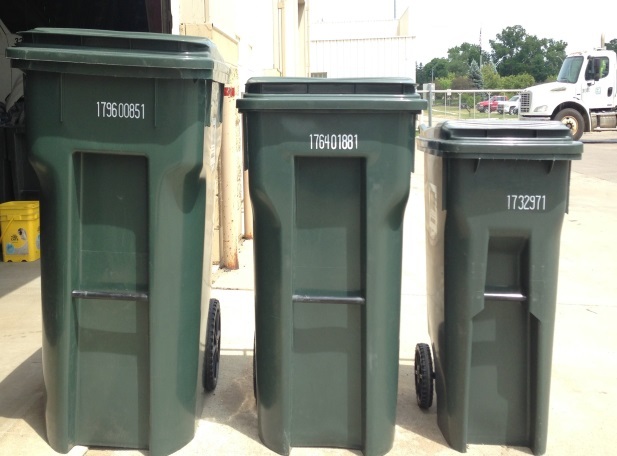 The large items must be placed curbside after 8:00 pm the night before your scheduled collection. This service is limited to large items only and is not intended to be a service for garbage. 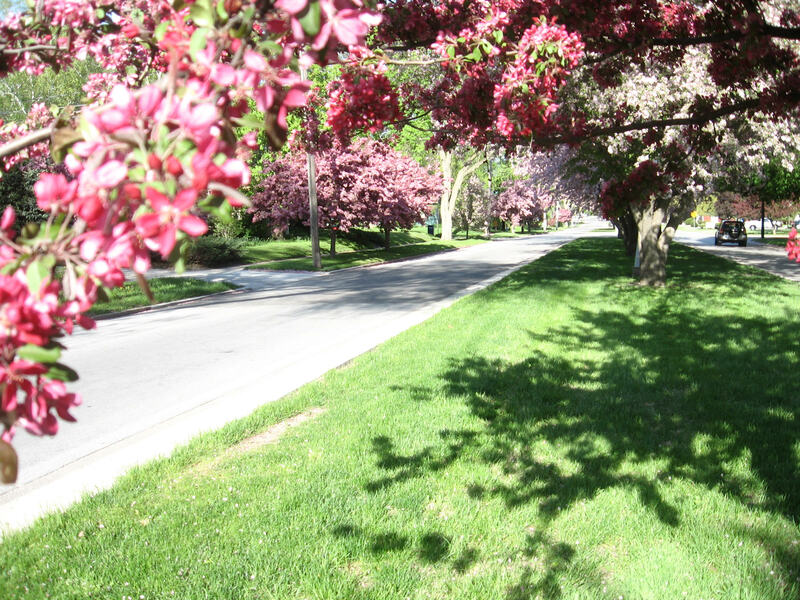 Residents are charged a $5 per stop fee for bulk collection appointments. The fee is added to your Cedar Falls Utility account. The following items will be picked up: Couches, Chairs, Recliners, Tables, Carpet and Pad (rolled up), Box Springs, Mattresses, Doors (quantities no greater than three), Windows (quantities no greater than three), Swing Sets (dismantled and no concrete), Grills, Gutters and Down Spouts (sections must be less than 6 feet in length), Bicycles. Charged Items: Picking up the following items will result in a charge of $7.50 each on your utility bill: Washers / Dryers, Refrigerators / Freezers, Dish Washers, Air Conditioners, Water Softeners, Water Heaters, Dehumidifiers / Humidifiers, Microwave Ovens, Stoves, Furnaces, Computers/TV’s $5. Any refuse pick-up violations are subject to a $200.00 hauling fee to the property owner and may impact the amount and timelines of the return of your security deposit. Thank you for caring about your environment in which you live, work, learn and play. The meeting will be held at Social House at 5:00 pm on Tuesday, April 16th. There will be a cash bar. A selection of hors d'oeuvres will be supplied by Little Bigs, Greenhouse Kitchen, and Icon Donuts. According to an article on OrganicFacts.net coffee has several health benefits. Benefits range from improving cognition and increase metabolism to improving heart health and protecting your liver. 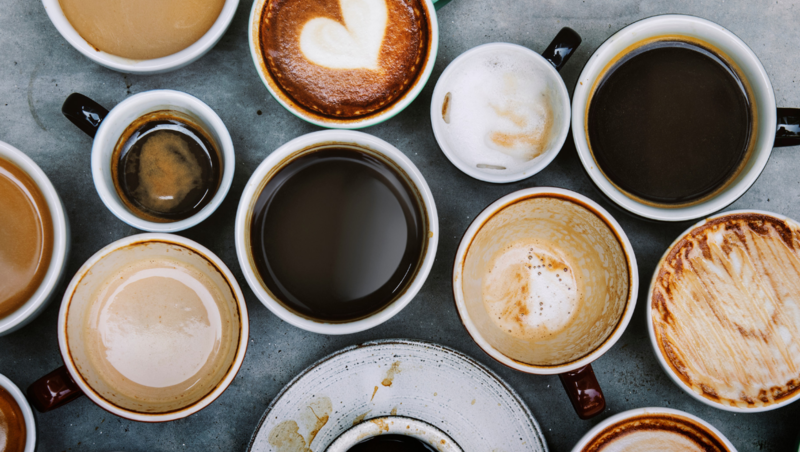 Now we’re not experts on health or coffee but knowing there are some great benefits from our favorite morning beverage just makes us want to drink it more. 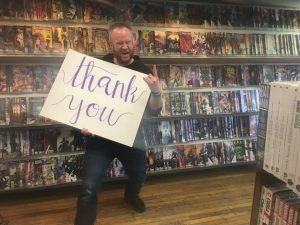 So when we heard about an amazing event at Sidecar Coffee we were all in. Held on March 2nd at 10 am the Pour Over Workshop will teach you how to make the perfect cup using a pour over method. Co-Owner Andy Fuchtman (CHP Past President and current Board Member) said their "top reason [for hosting these workshops] is we want people's coffee to taste better, and to build our local community of coffee fans." Who doesn't want their coffee to taste better? And who doesn't want to meet new people while learning? Our friends and coffee experts are going to teach this method using the Hario V60. 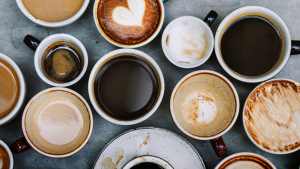 Love coffee and want to learn more about it? Be sure to grab your tickets online by clicking here. Your $30 ticket includes a bag of Sidecar Coffee’s March Costa Rica beans to use at home. 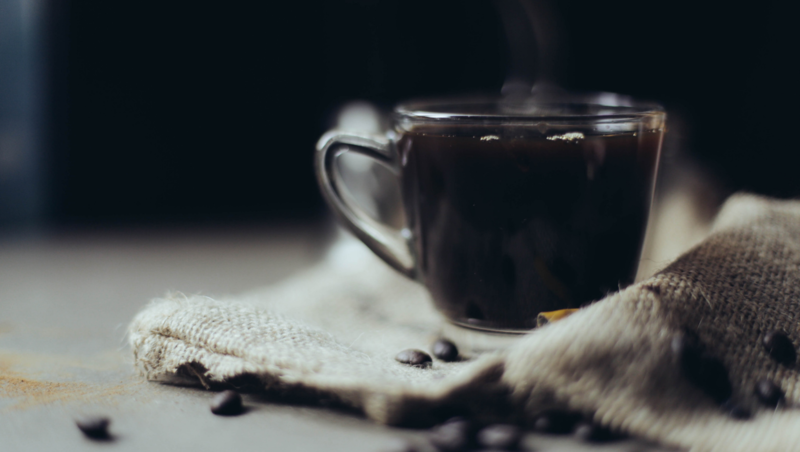 You will also have hands-on experience learning from one of the experts at Sidecar Coffee. They tell us spots are limited so make sure to grab your ticket today. 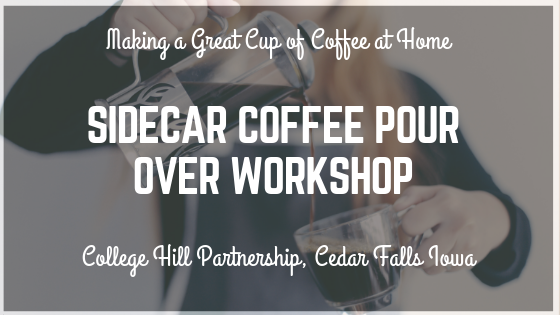 This workshop will be hosted at the Sidecar Coffee's Roaster at 325 Commercial Street, Downtown Waterloo. Whatever your reason for drinking coffee you aren't going to want to miss this awesome workshop to learn more about how to make the perfect pour over cup of coffee. According to Rainn.org, “College Women are three times more likely to experience sexual violence.” A group of UNI Presidential Scholars is creating a project and implementation of a sexual assault bystander training. This training was originally started by the partnership of UNI graduate students and The Riverview Center. Over recent years, many bystander trainings have been created and used in areas adjacent to Universities. “Raise the Bar” a program to help train local bar staff was developed at the University of Iowa and implemented in local Iowa City bars. After researching similar programs a new program was crafted to use locally in the Cedar Valley. According to BJS.gov, the Midwest region has the highest rate of sexual assaults in the nation. With stats like these, the current momentum around the #MeToo movement, and the passion of Presidential Scholars to help resolve problems affecting the community it is no wonder a group of this year’s scholars would take on the challenge of implementing this bystander training. Programs such as these help address the growing problem of sexual assault and misconduct. They are able to do so by creating awareness. Before winter break the UNI Presidential Scholars Think Tank Safety Group presented their project and plans to the College Hill Partnership. This group is composed of six sophomores. The Board of Directors voted to put their full support behind the project and the student's efforts. The CHP Board of directors was impressed by the research and professional presentation the students gave at their December board meeting. These six college students told the Partnership they wanted a safety-focused project. Much of their preliminary efforts were collecting statistics regarding assaults on campus. They have been identifying what factors (such as alcohol) play into these assaults. 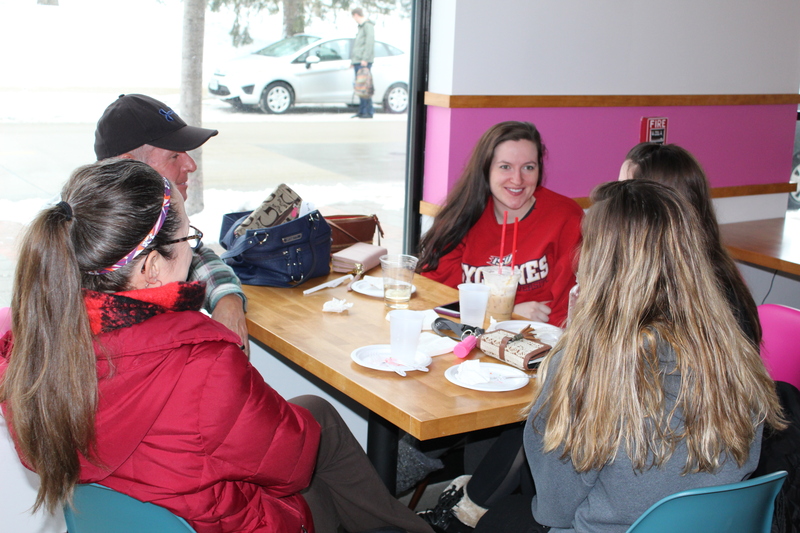 The group obtained Sexual Assault Victim Advocate Training over winter break and will have further training over the 2019 Spring semester. So they have also developed a partnership with the NISG. They believe this partnership will ensure the project's longevity. 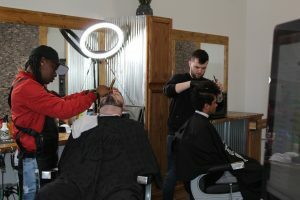 Because of the close proximity to the University and its popular nightlife establishments, the group felt College Hill is would be a great place to test the new bystander training program. Already several bars have already signed on for the training. 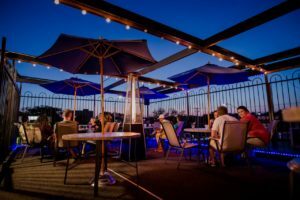 College Hill bars include Little Bigs, Social House, and The Other Place on the Hill. “Our main hope for the project is to decrease the number of sexual assaults that happen at UNI. We hope by providing the bar employees with the necessary tools to potentially intervene in a situation that these numbers will decrease. 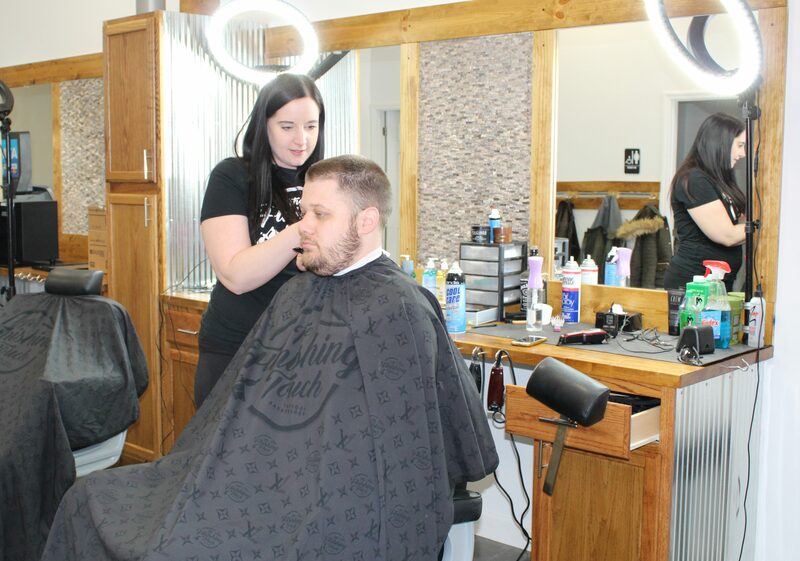 The group also hopes that training will continue over the following years as there is a high turnover among bar employees.” The College Hill Partnership is excited to have a group of passionate students. And are happy they chose to start to implementation of their project on the Hill. The group hopes for success on the Hill. After the Hill they hope the program will spread to other nightlife districts. The College Hill Partnership is entering into our 11th year as a combined organization. 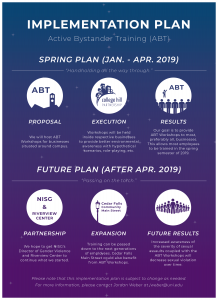 This year brings many exciting opportunities and challenges for the Hill. We would love for you to be directly involved. Help us shape the future of the College Hill District by representing our community and unique stakeholders. We would like you to serve on our board of directiors. Considering the job? 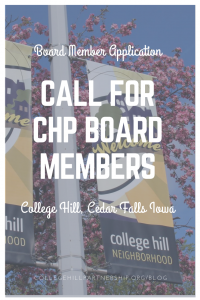 Check out CHP Board of Directors Member Duties, and CHP Board of Directors Commitment Form to learn more about being a College Hill Partnership Board Member. Most seats will be a two year appointment. If you would like to serve? 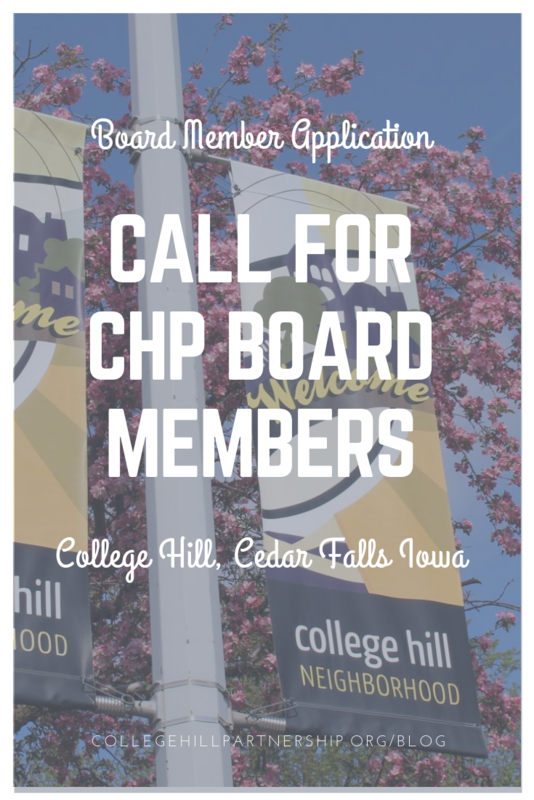 Then please head to https://www.collegehillpartnership.org/board-member-application/ and complete the board member application. Applications are due by Friday, March 8th 2019. If you have any questions please feel free to reach out to the Executive Director via email or phone (319)-273-6228. Looking forward to hearing from you. Do you know someone who might be interested? Share this post via, text, email, or social media. Thank you for your consideration and your help in making College Hill an amazing place. 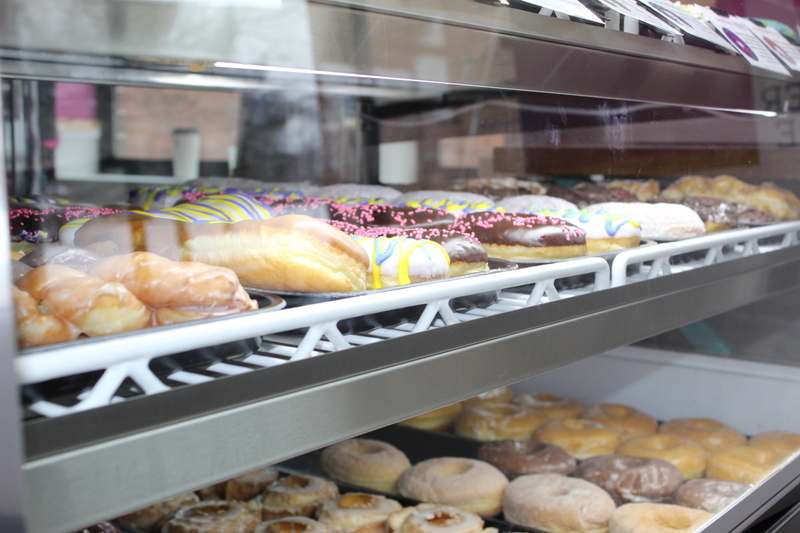 Donuts aren’t your thing that’s okay because they have many more sweets. From sticky buns, cinnamon rolls to cannoli and fritters. They even have vegan and gluten-free options. 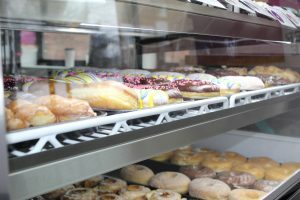 Have a special party and need a tray of treats ICON Donuts and Sweetery has you covered from cheesecake to danish even cookies. Obsessed with ICON? 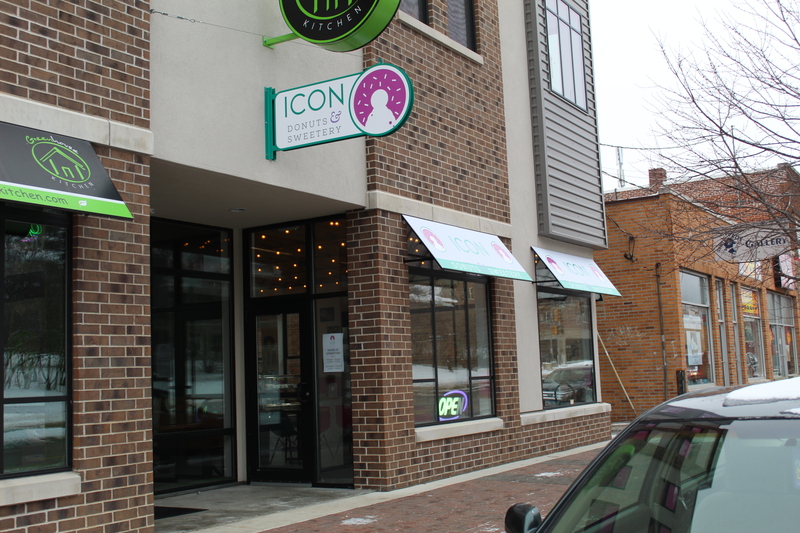 They’ve got t-shirts, mugs, and to-go cups to show the world your love for ICON! 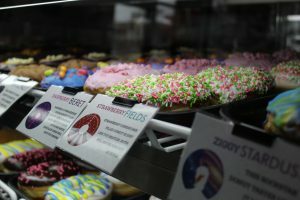 Icon Donuts and Sweetery are currently hiring. Click here to fill out an application. Look to their website for more details. We encourage you to swing by their location on the Hill. Located at 917 West 23rd Street right next to Greenhouse Kitchen. Or their location in Waterloo located at 1730 W Ridgeway Ave #600. Don’t forget to follow them on Facebook and Instagram for daily photos of their amazing selection. Another great reason to #HeadtotheHill. January 11th marked the opening day for one of the newest businesses on College Hill in Cedar Falls, Iowa. 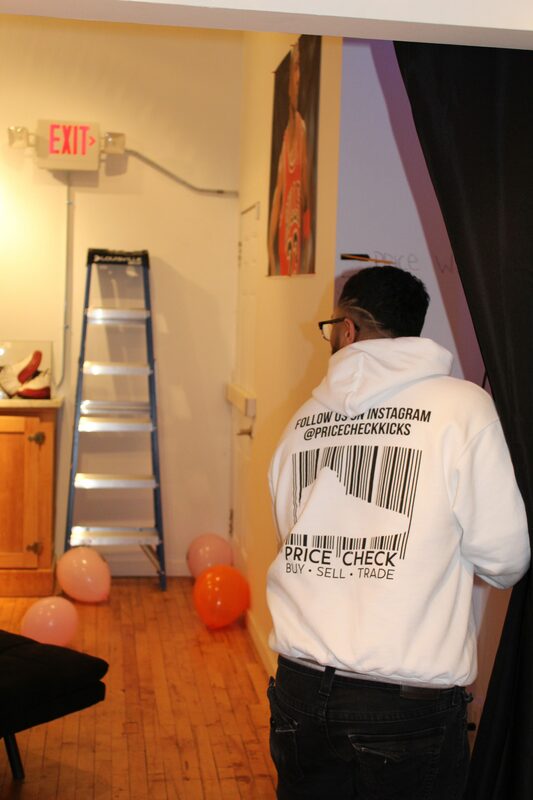 Price Check Kicks opened their doors with a Grand Opening celebration. The opening was complete with snacks, balloons and the perfect pair of shoes for all of you sneaker fanatics. They are located on West 23rd Street right between Marsala Market and Icon Donuts and Sweetery. We headed in on opening day to check out the selection and meet the staff. Walking into the store we were greeted by customers an d staff alike which isn’t surprising in a laid back professional atmosphere. 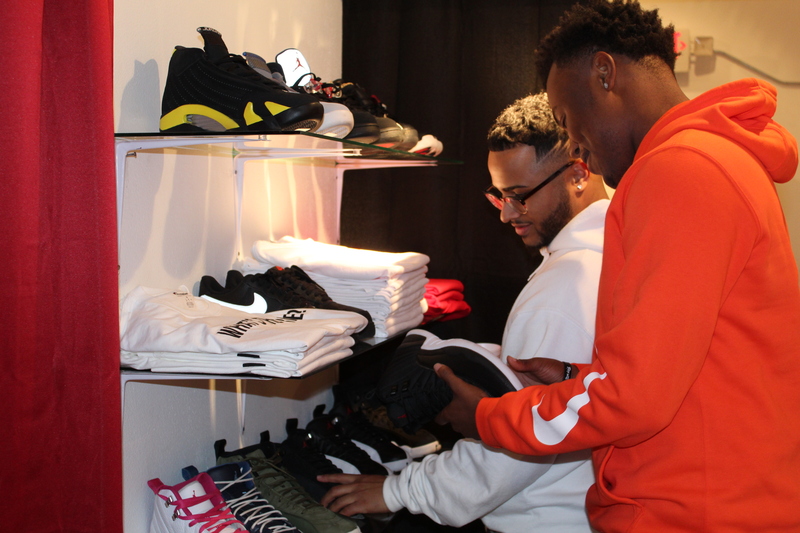 After looking through their selection of everything including Nike, YEEZY, Jordan’s and more we headed back to their lounge area where we found some customers enjoying some snacks and shooting some hoops in their relaxing lounge area. This store like many of the College Hill Businesses offers a place for their customers to have an experience not just a place to buy shoes. Price Check Kicks on College Hill in Cedar Falls doesn’t just sell shoes they buy, trade, and clean shoes. They even have consignment. They have also added vintage jerseys. We really love their logo tees and sweatshirts that ask “What’s your Price?” on the front with their logo on the back. If you like to be in the latest style shoes we think you should head into Price Check Kicks. 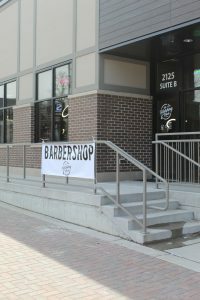 They are located at 915 West 23rd Street on College Hill in Cedar Falls. 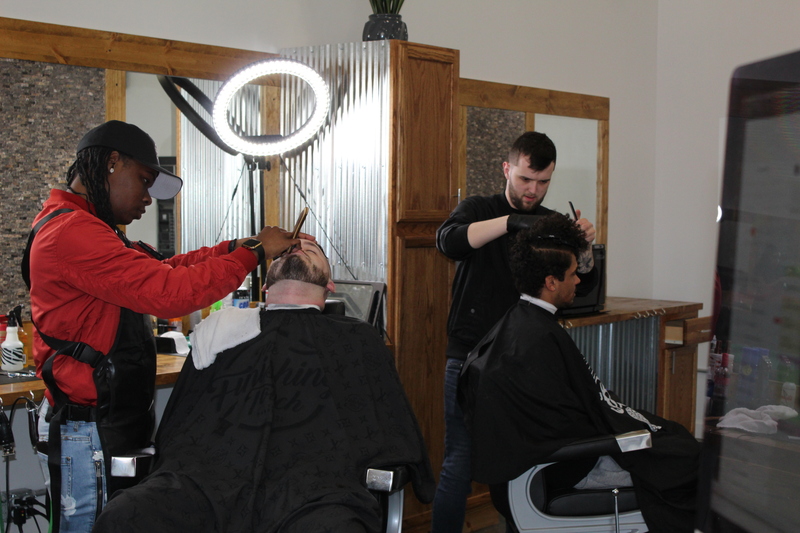 Head in Tuesday –Thursday 11-7pm Friday & Saturday 12-8pm. Check them out on Facebook or Instagram too.